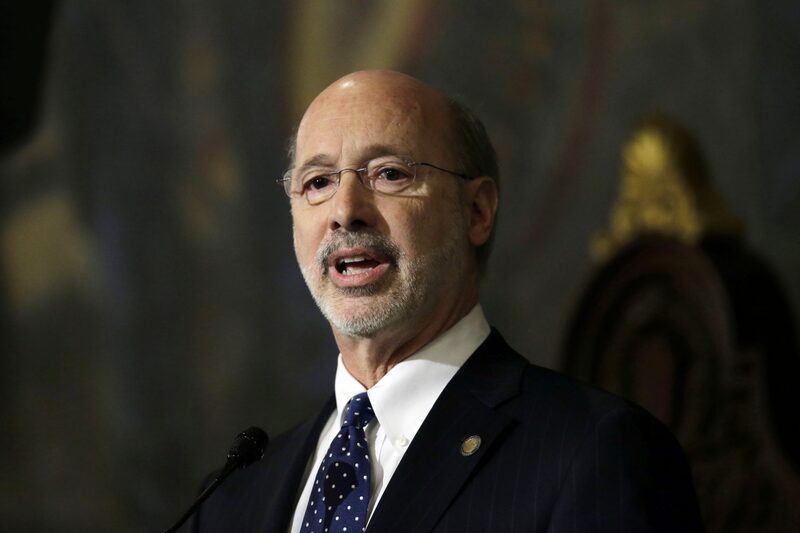 Governor Tom Wolf’s severance tax proposals have become something of an annual tradition. In keeping with that tradition, Republicans have said they have no intention of passing his latest version of the plan. (Harrisburg) — Gov. Tom Wolf is asking the Republican-controlled state House and Senate to sign on to a sweeping new infrastructure plan. In fact, this is the fifth year in a row Wolf has proposed a severance tax on natural gas production. In the past, he’s suggested using them to fund everything from education to deficit reduction. This time, Wolf isn’t including the tax in his annual budget proposal. It is being introduced as bipartisan-backed bills in the House and Senate. They would route the proceeds directly toward infrastructure improvements — like broadband expansion, flood remediation, and urban blight reduction. When gas prices are below $3, that would mean a severance tax around 9.1 cents for every thousand cubic feet of gas extracted. If the price were to rise above $6, the tax would be about 15.7 cents per thousand cubic feet. The administration didn’t say how much interest might cost. Wolf is anticipating the tax would bring in around $300 million annually. Despite having a GOP member from the moderate southeastern part of the state co-sponsoring the plan, House Republicans quickly issued a statement saying their caucus doesn’t have enough votes to support it overall. “The governor’s proposal includes three of the worst ways to grow an economy: taxing, borrowing and uncontrolled government spending,” a spokesman wrote in a statement. Senate Republicans haven’t returned a request for comment. Their chamber did pass a version of Wolf’s severance tax proposal in a recent session—though that agreement hinged on a slate of permitting changes many Democrats and environmental advocates don’t support.